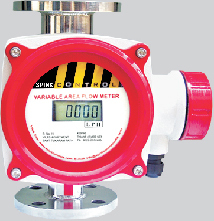 Digital Variable Area Flow Meter. The inner float magnetic field is detected by high sensitive magnetic field detection sensor, enabling the digital readout. No movement assembly reducing the maintenance. 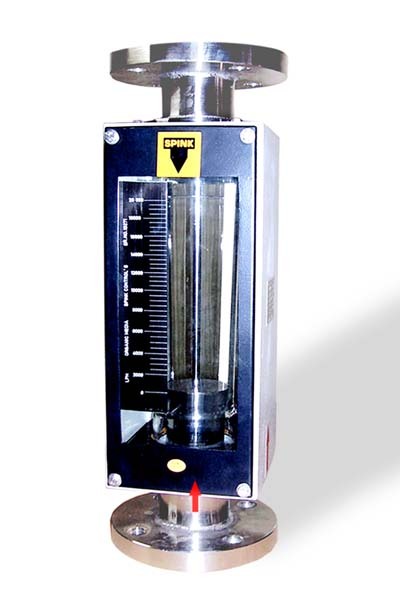 The rotameter with a borosilicate glass and a calibrated scale directily read the fluid flow is one of the basic flow measuring instruments. 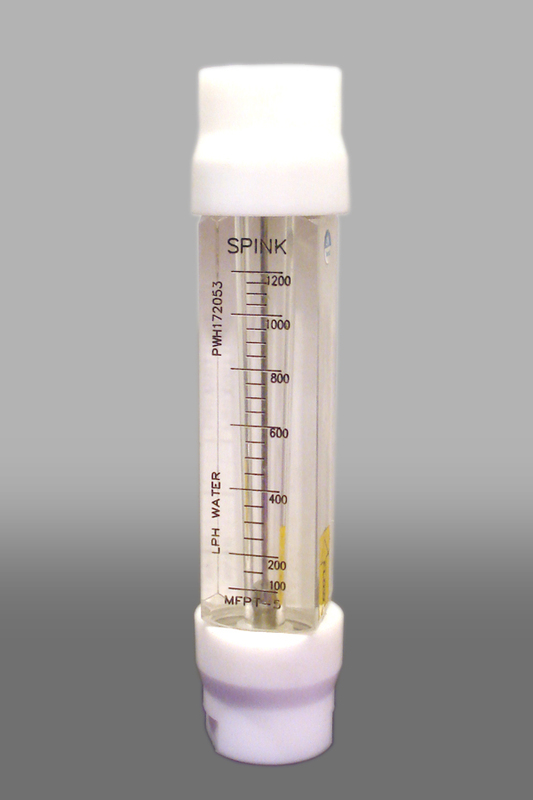 Acrylic Body Rotameter is an instrument used to measure instant flow rate of Liquids and Gases and are commonly used for flow measurement. we are leading manufacturer of Acrylic Body Rotameter, supplier of Acrylic Body Rotameter in Mumbai, India. The Purgemaster Purge Meters are low capacity variable area flowmeters for both liquid and gas with an excellent selection of material and scale lengths in a single product family design. They provide optimum flexibility with minimum component proliferation. The orifice plate and assembly is employed for measuring the rate of flow or quantity of moving fluids. The ori-flow meter measures flow by inserting an orifice at part of the piping, generating differential pressure before and behind the orifice by means of the flow, and extracting this differential pressure by a suitable method. Differential pressure (p1-p2) of main orifice & the flow q have shown in PDF file given below. The flow is proportional to square root of the differential pressure. The pitot tube produces a Differential pressure (DP) signal proportional to the square of the flow rate in accordance with Bernoulli's theorem. This signal has two components, the high pressure (HP) and the low pressure (LP). 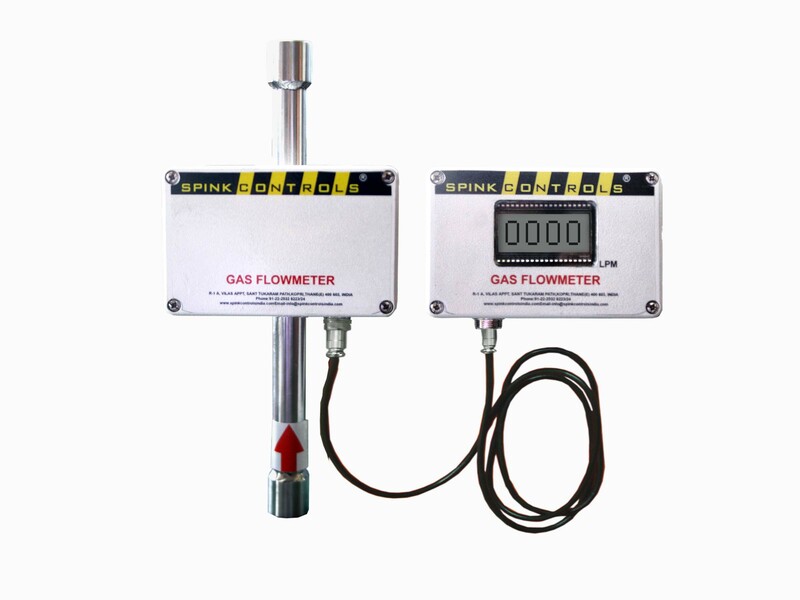 The Gas Flow Meter is orifice flow meter measures flow by inserting an Orifice Plate in the block between the pipes. 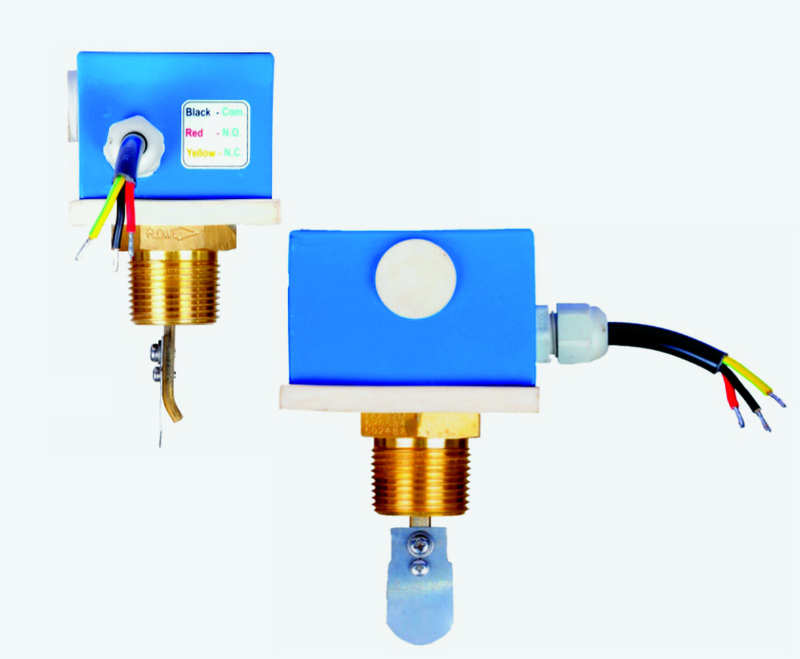 The Differential pressure is detected by highly sensitive differential pressure transducer, by which the pressure drop is very low. 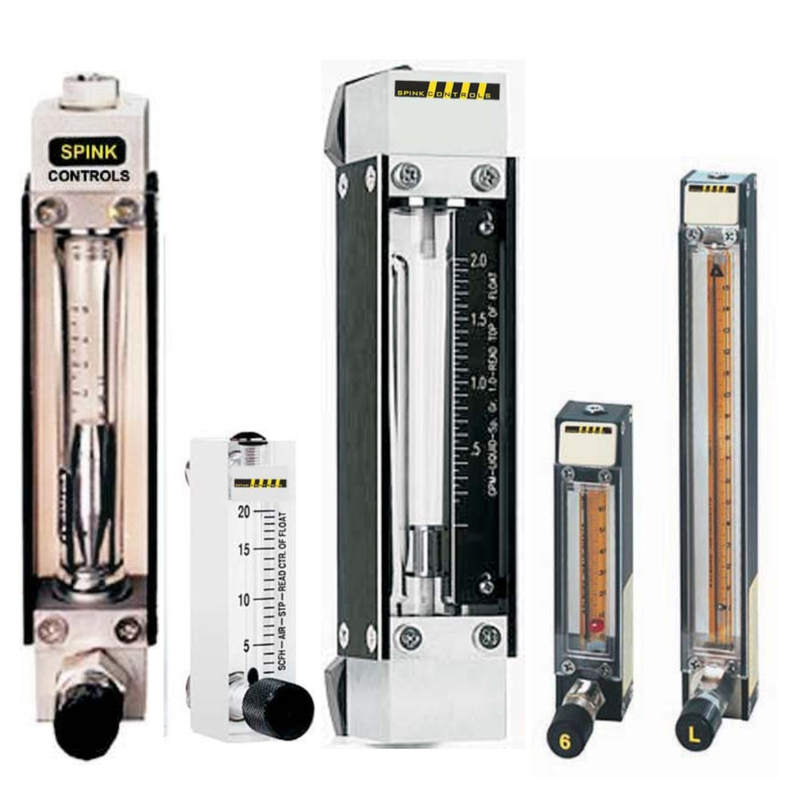 Spink Electromagnetic Flowmeter-Instrument designed for measuring and indicating flow and total volume of conductive liquids. 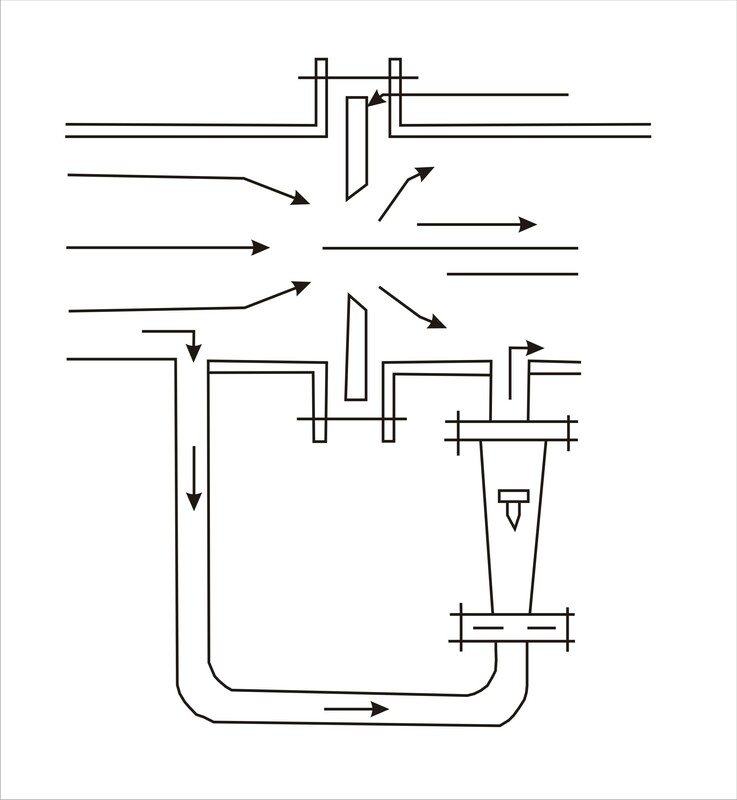 As there are no moving parts in the flow profile the device can be used to measure extremely dirty liquids containing solids. 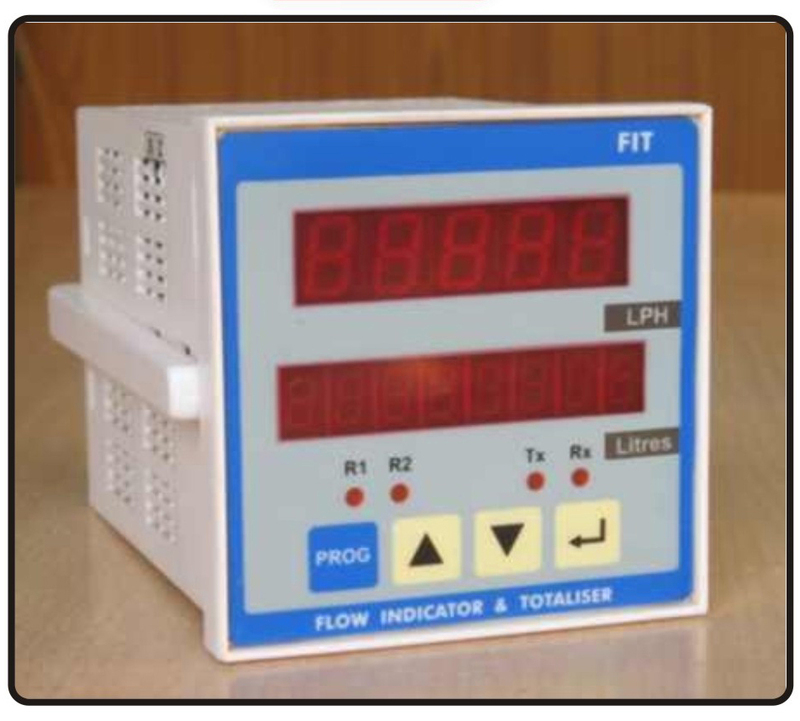 The flowmeter is for use with conductive liquids only. Range of applications. The flowmete has been designed for use in all process industries including chemical, water and wastewater. Features. 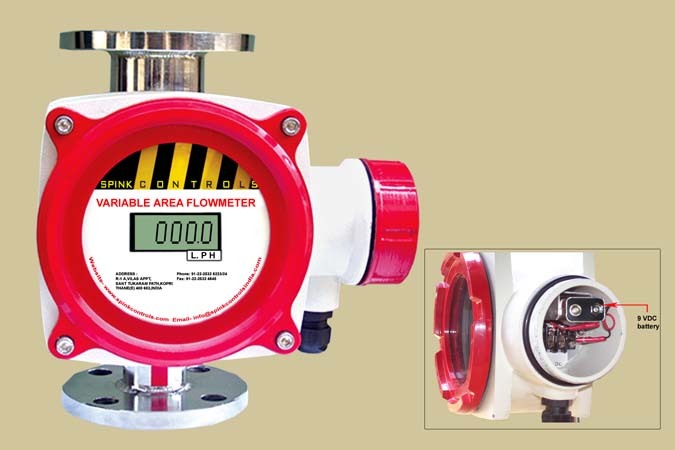 The inductive flowmeter R-401 is a highly accurate and stable device. The construction of the flowmeter uses components with a long-term time and temperature stability. 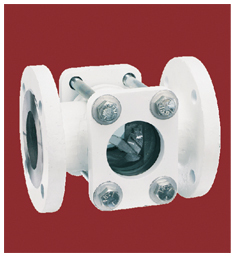 Spink Series Sight Flow Indicators are manufactured of quality materials and safety tested to assure long, dependable service at economical prices. 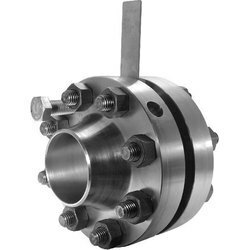 The Series offer ANSI / ASME flange process connections, double viewing windows, and bodies of carbon steel or 316 SS. It has a double window with no moving indicator. All the types feature a removable window for easy service and replacement of wearing parts. Flow Indicator Totalizer model instrument with multi-functionality viz. 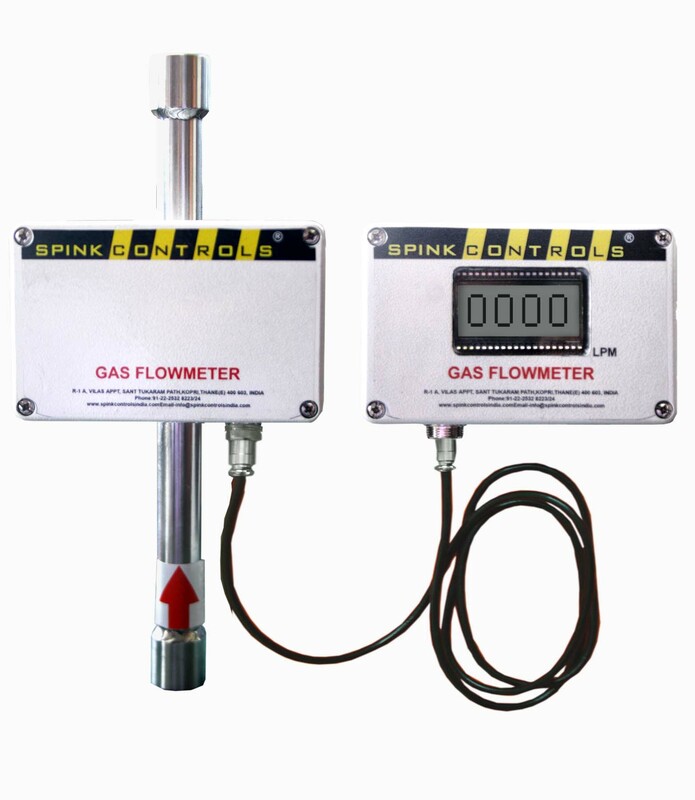 Flow Rate indication, Flow Totalizing, batch counter & alarm for instantaneous flow. It accepts mA signal proportional to flow rate from flow transmitter. 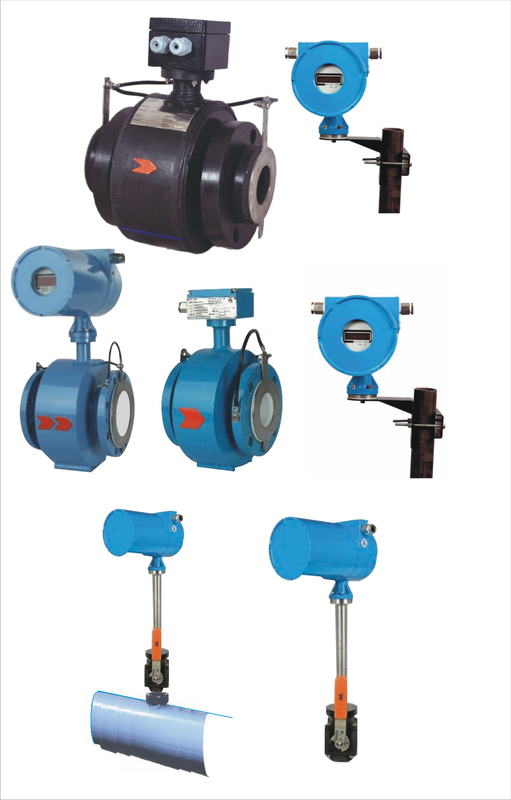 Flow Transmitter can be DPT with orifice assembly, Rotameter, Magnetic Flowmeter etc. with output of 4-20 mA. 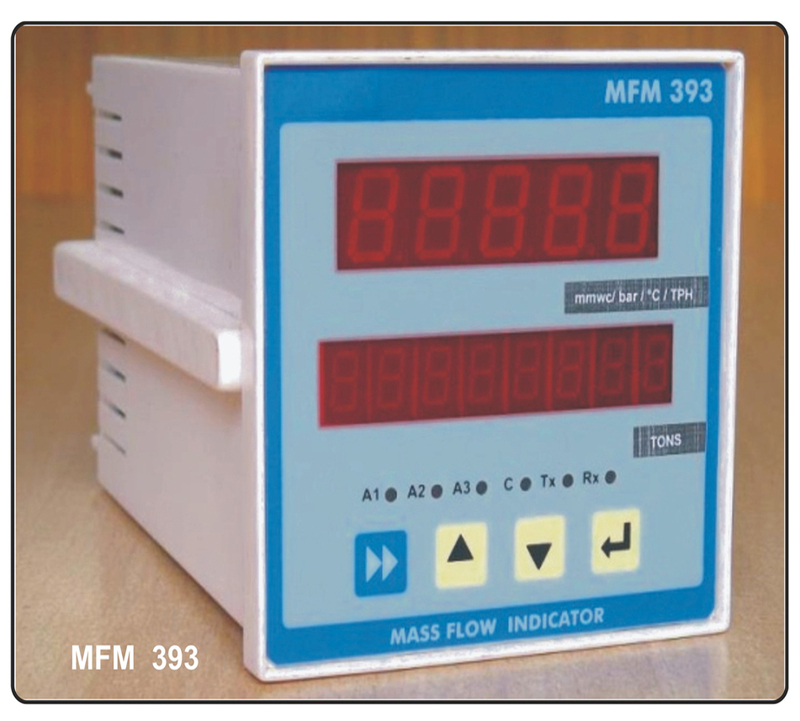 Model MFM 393 is micro-controller based arithmetical computation unit generally used in massflow applications. 4 digit LED Display. Flow Rate and Totaliser range can be configured as required even on site. Totaliser is a 8 digit LED Display. Totaliser can be reset manually from password protected PROG menu. Power Supply for external transmitter (24VDC@100mA) is a standard feature. It eliminates need of separate power supply to power the transmitter. 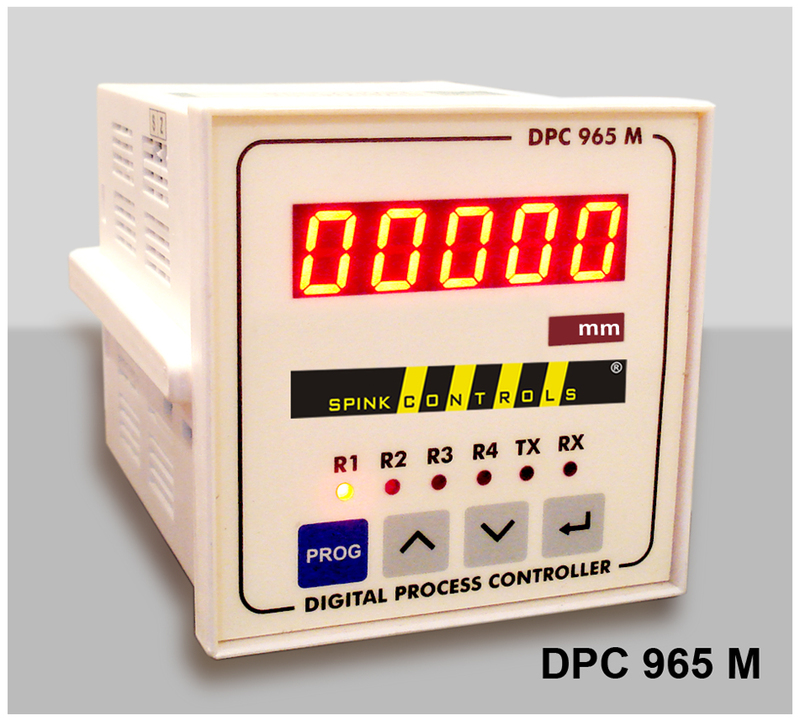 DPC 965 M is intended to be used for indication and control application. 7 segment RED LED display makes it visible from long distance. 4 ½ digit resolution gives accuracy as high as ± 0.3 % ± 1 LSD. Unit accepts 4 - 20 mADC linear input, the most commonly used signal in process industry.